Do you think fashion folks go too far with their challenging ideas? 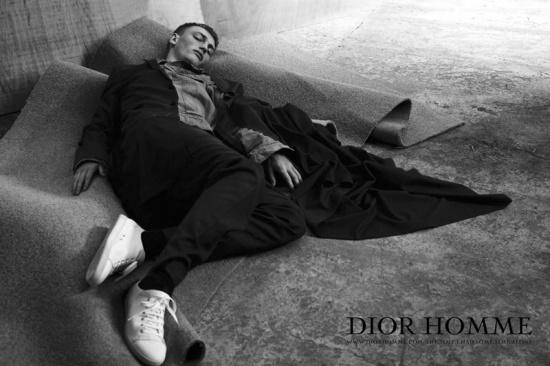 The hobo/homeless chic trend in fashion meaning dressing down to the point you look like you don't give a f...nickel on fashion (but you do, a lot) is very well interpreted in the spring/summer 2011 ad campaign for luxury fashion brand Dior Homme. Newcomer Danish model Victor Nylander is a very slick looking homeless boy shot by Belgian fashion photographer Willy Vanderperre. Another dreamy editorial signed by gifted fashion photographer Camilla Akrans is published in Harper's Bazaar US magazine, the April 2011 issue. The spring 2011 collection from Italian label Alberta Ferretti keeps on the glamorous bohemian route, exploring mysterious and utterly feminine looks of past eras refined by subtle luxury details. Renowned French photographer Patrick Demarchelier creates a sensual and very glamorous vibe for Donna Karan spring-summer 2011 ad campaign, set in the claustrophobic scenery of a hot sauna. It seems that fashionable TV shows set in the Great Depression Era such as Boardwalk Empire and Mildred Pierce made quite an impact in this year's trends. For March 2011 fashion editorial A Precious Glam, published in Vogue Italy Estonian top model Carmen Kaas plays a sly, elegant woman from high society, a strong-minded heiress looking a lot like Katharine Hepburn in Hollywood Golden Era screwball comedies (The Philadelphia Story, 1940, Holiday, 1938). 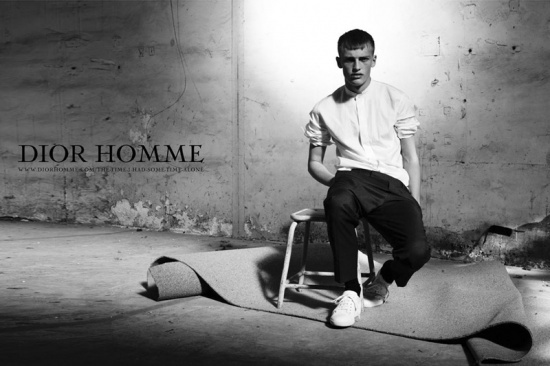 American topmodel Guinevere Van Seenus (IMG) is the protagonist of the spring-summer 2011 ad campaign for the French fashion label Paule Ka. The ads, shot by Venetia Scott, ooze happy luxe charm bringing to mind the glamour of Palm Beach's heydays, when the place was packed with Hollywood stars. 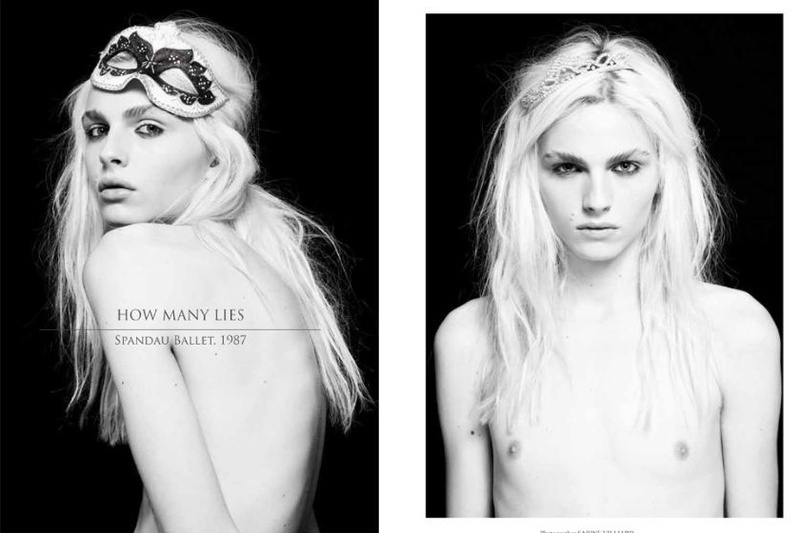 images from Paule Ka Paris website. The tonic Missoni ad campaign for spring/summer 2011 season has the most cheerful cast I've seen in a while in fashion advertising: the Missoni family and friends all smiles, all dressed up, twirling around in vibrant printed clothes. If the ads mean to prove that bright geometric/tribal patterns, spangled with dazzling sequins and fringes look great on everybody, girls and boys, babies to seniors, they sure make a point. Ballet inspired fashion is one of biggest news this season in womenswear with sheer flowing dresses and flouncy skirts so if you want to achieve this graceful look you should go to the source of this trend and study the ethereal elegance of prima ballerinas. 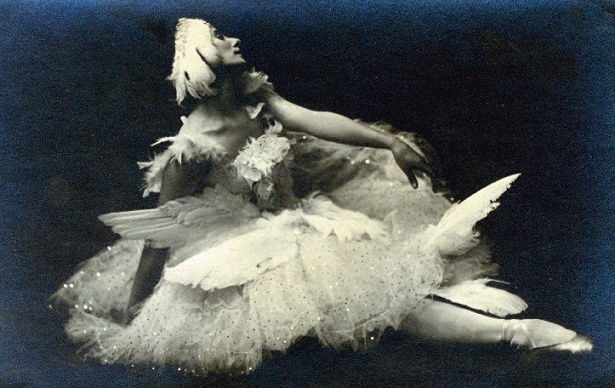 A ballet photography book is a must-have for fashion lovers and stylists wannabes especially one that looks through a century of ballet shows such as A Dance by Alexander Barabanov. 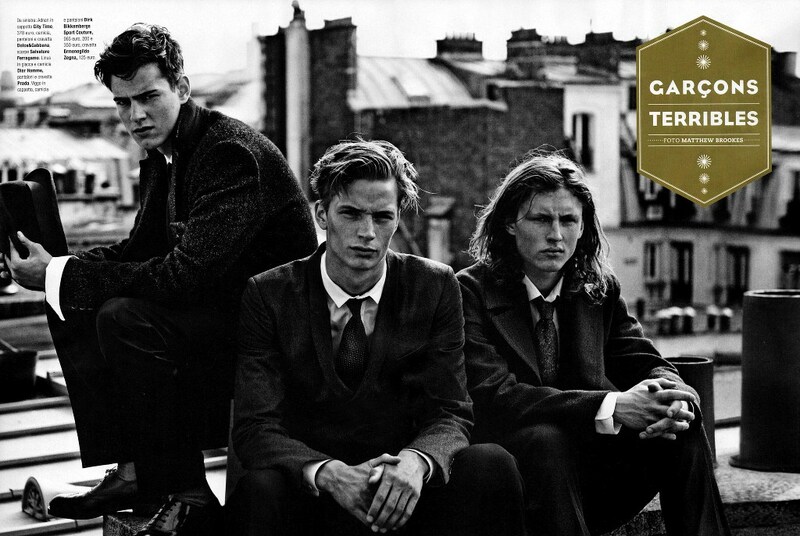 A great looking menswear fashion editorial published in the December issue of GQ Italy Magazine brings back the nonchalant elegance of the 1940s. Shot by talented self-taught English photographer Matthew Brookes, "Garçons Terribles" puts on view timeless images of a restless yet polished masculinity. These wonderful images with a vintage effect, signed by photographer Carl Bengtsson draw together the fall/winter 2010/2011 lookbook for Swedish brand Nygårdsanna. The romantic sepia tones, outdoorsy country side setting and a blue-eyed, freckled, innocent but fierce looking model set these images in the right mood. A fun change from the overly dramatic fashion campaigns is this one here launched by Italian fashion label Patrizia Pepe for the season of fall/ winter 2010/2011. 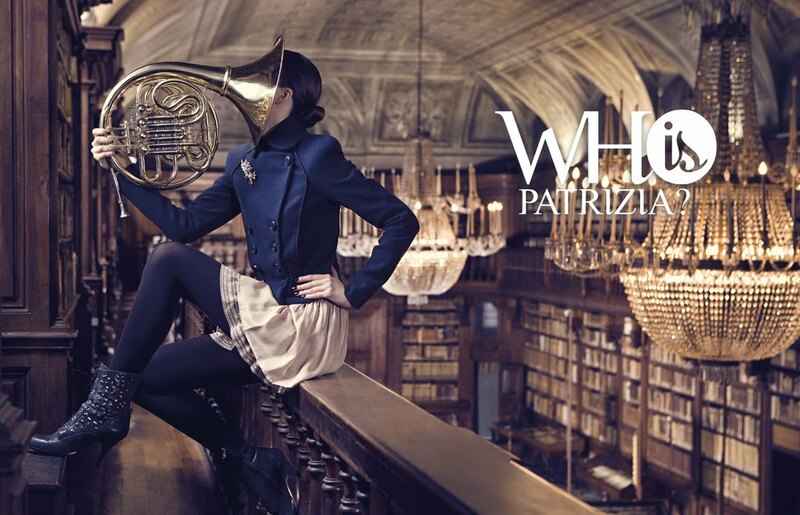 The teasing slogan invites us to speculate "Who is Patrizia?" and the images show ingenious, amusing ways to hide the model's face while focusing on the chic clothes, shoes and accessories. 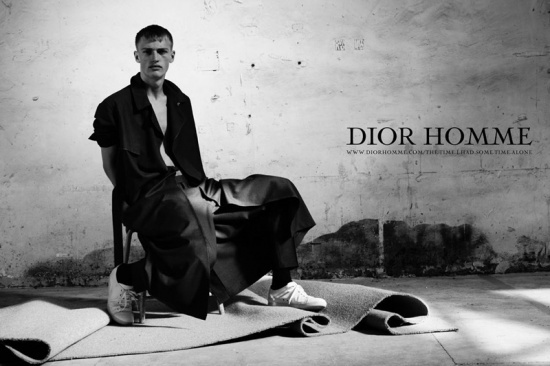 The whole campaign is an invitation to discovering the brand's identity and its collection for the current fashion season. Read more about So, who is Patrizia? Who said high fashion is not for winter? 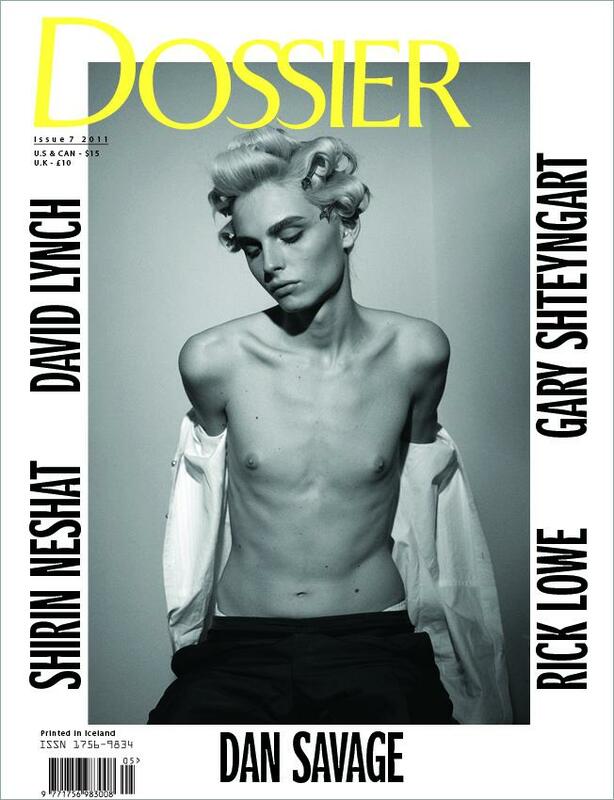 Take a look at this fabulous photo story shot by Brazilian fashion photographer Jacques Dequeker and starring Serbian model Ines Crnokrak. 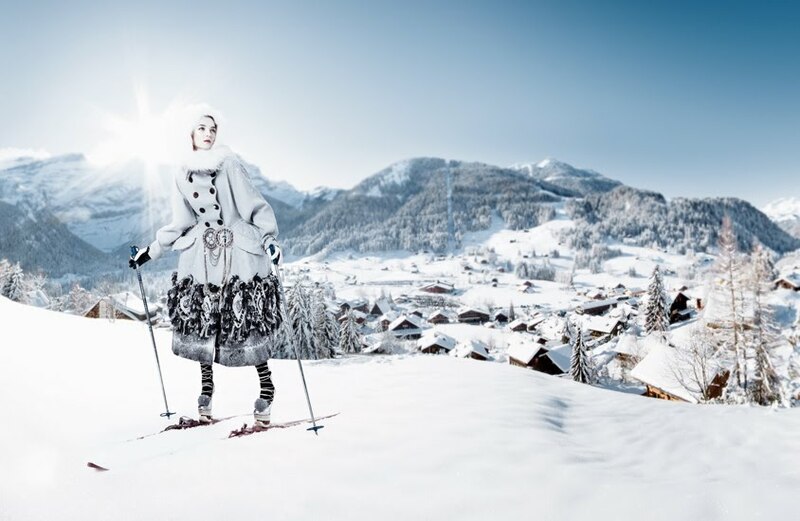 The sleek humour of these images is given by the clash between snowy mountain settings and high-end clothes and accessories. In one of the images Ines goes in a poodle-drawn sleigh ride, dressed in a flowing silk leopard-print gown and in another picture she is skiing in platform heels. Anyone who is in love with childhood fairy tales and bizarre circus stories will adore this fashion pictorial published in the December 2010 issue of W Magazine. A snowy night forest backdrop and the mood is settled. Enter the scene lovely fairies and little elves surrounded by animal pets; or is it a sleepless camping circus? Starring roles have doll-faced Lindsey Wixson, Canadian-born Anais Pouliot as well as the new-in-business It-models Arizona Muse who poses with her baby-son Nikko and Swedish-born Britt Maren. Models: Arizona Muse, Britt Maren, Lindsey Wixson, Anais Pouliot. Children: India Knox, Hudson Kroenig, Alexandra and Nicolina Isacson and Nikko Muse. A beautiful outdoorsy campaign for Scandinavian brand Day Birger et Mikkelsen shot by talented photographer Ditte Isager. 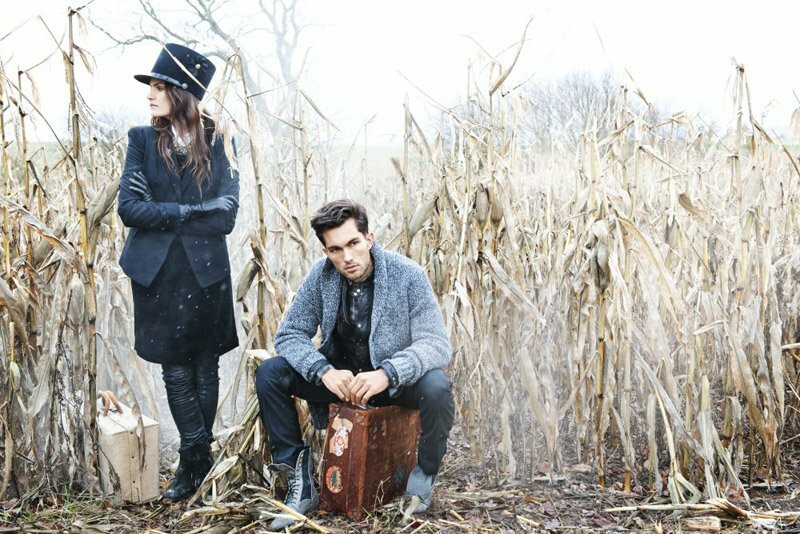 Inspired by nomad lifestyle the fall/winter 2010/2011 ad campaign stars American model Missy Rayder (sister of top model Frankie Rayder) and Danish male model Tobias Sorensen wandering around foggy corn fields with their vintage suitcases. Soft knits, tailored wool jackets, denim pieces and home textiles in grey, brown and dark blue shades resonate with the crisp autumn morning.